Due to the Easter Holiday, the Weekend Bonus Event has been activated early! 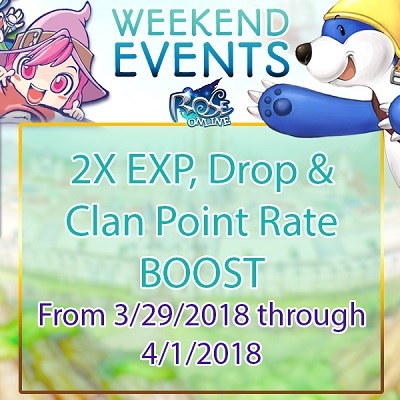 Join us in game to enjoy 2x Experience, Drop Rate and Clan Point boost now through Sunday 04/01! Happy Easter Weekend everyone!